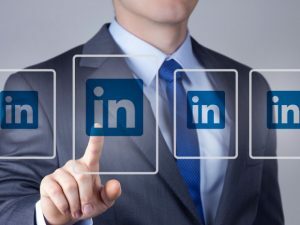 If you are a trainee accountant looking to make the next move in your career it is vital to not only have your CV looking sharp but to ensure that your LinkedIn page looks the part too. Often when candidates apply for roles, employers look at the applicants LinkedIn page even before reviewing the CV. First things first – your picture needs to look professional, clear and work appropriate. The best pictures are professionally taken however this can be pricey! Having a clear picture where you are professionally dressed in a plain backdrop is the most important factor. This can be a deal breaker for some employers if the profile picture is not work appropriate, so be sure to get it right. Have a short snappy description- whether you are doing your ACA/ACCA’s/CIMA state how many exams you have left to complete and when you anticipate on qualifying. It is also useful to outline any other educational related details. Avoid the use of generic statements such as “detail-orientated” or “great communication skills”- be as specific as possible. Have your work experience laid out in the same way you would outline it on your CV. This means the company, the title of the position and have your main duties laid out in a bullet point format. This provides employers with a clear indication of your experience. Specifically, in the part-qualified accountancy space, it is useful to outline the types of clients you work with in terms of the industries – whether they are plc’s or SME’s. Make your experience as specific as possible in terms of the volume – whether it’s the number of audits you have carried out, to the number of invoices you have processed. When you quantify your daily tasks, this gives employers a clear insight into your role and your experience to date. Similarly, if you have progressed within a role from associate to senior associate be sure to outline this. Continually grow your list of connections with people that work in the industry. This can only benefit you and your network within the space keeps you up to date with events and news in the industry. Make sure you include your email address in your contact details, so you can be contacted. Keep your profile up to date and share interesting content – whether it be articles or pieces you come across that would be applicable to the sector. It is a good idea to look at what other people in your target area are doing and how they portray themselves. We would recommend looking at senior profiles for this – Finance Managers/Directors working in similar industries. If this is where you want to be in the next 5-10 years, your profile should reflect this an exemplify your ambitions to progress in your career. The above recommendations take time but is a crucial element in order to give yourself the best opportunity of success in your job hunt! Striking out in a career within Investment Management: Front, Middle and Back Office explained!